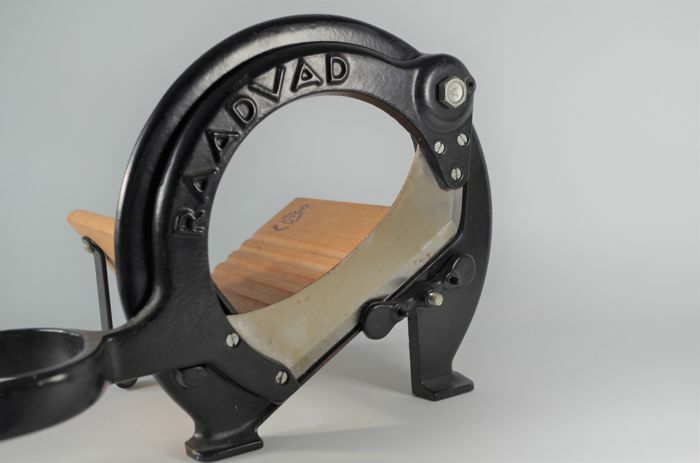 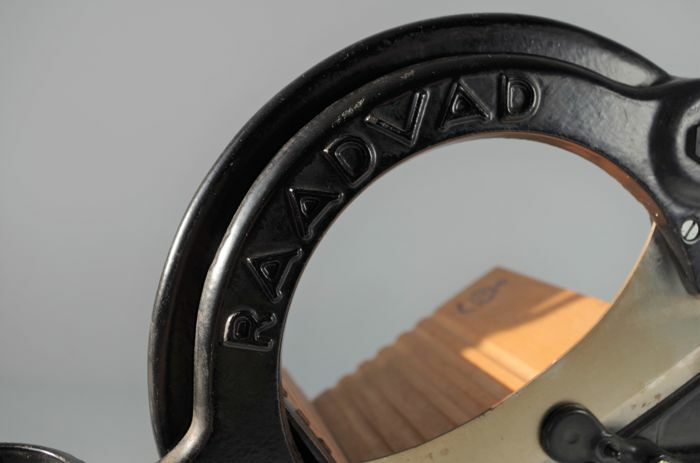 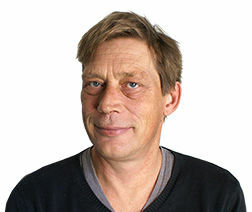 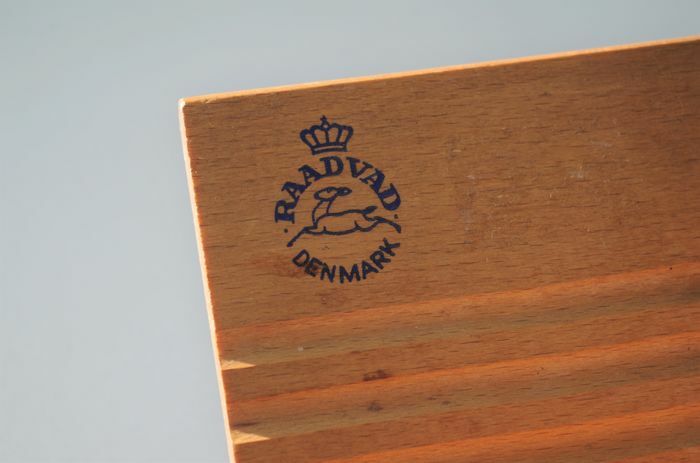 The Danish company Raadvad was established in 1758, becoming famous from the 19th century for its manufacture of knives and kitchen implements. 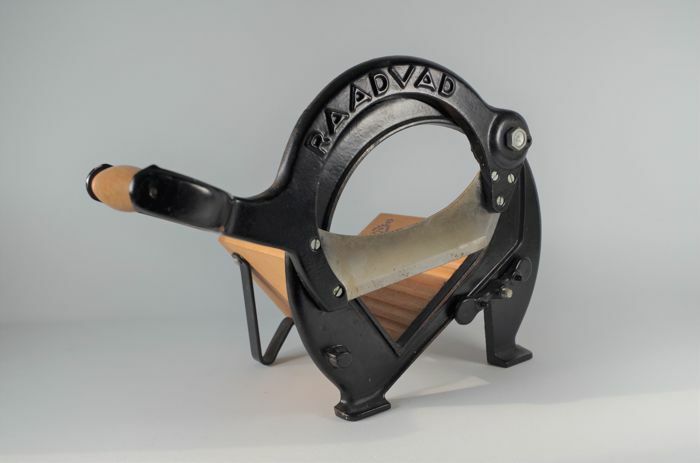 Their iconic bread slicer has been produced for over a century and has become a Danish design classic. 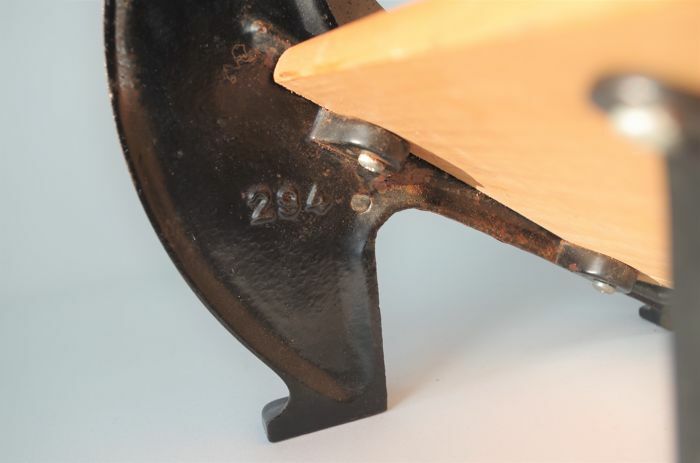 This particular slicer was made in cast iron, steel and wood, according to the original design and would have been produced in the 1970s. 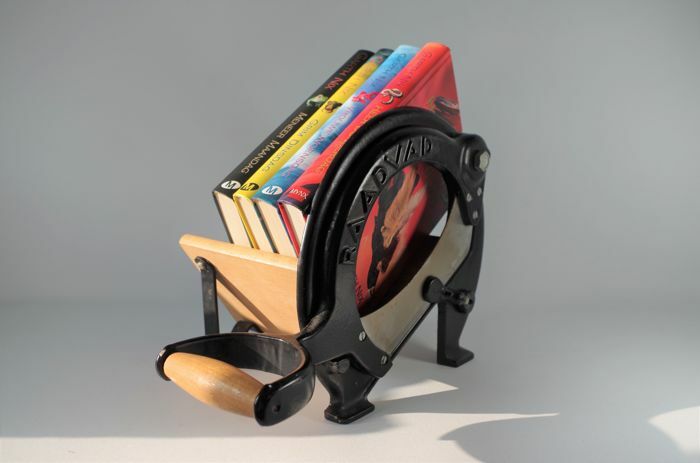 It is in excellent used condition with original bright black paint. 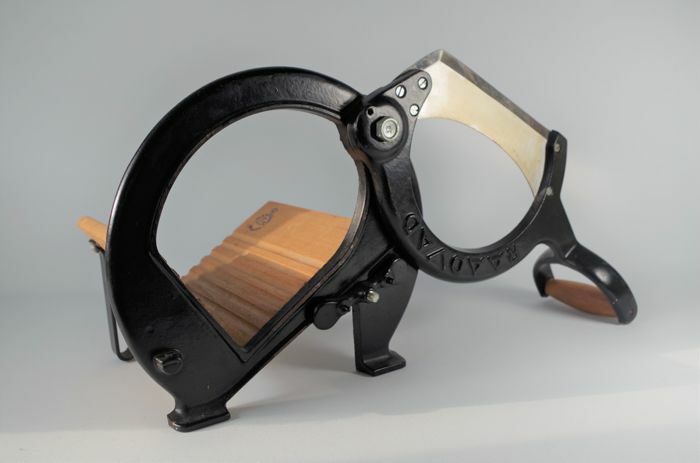 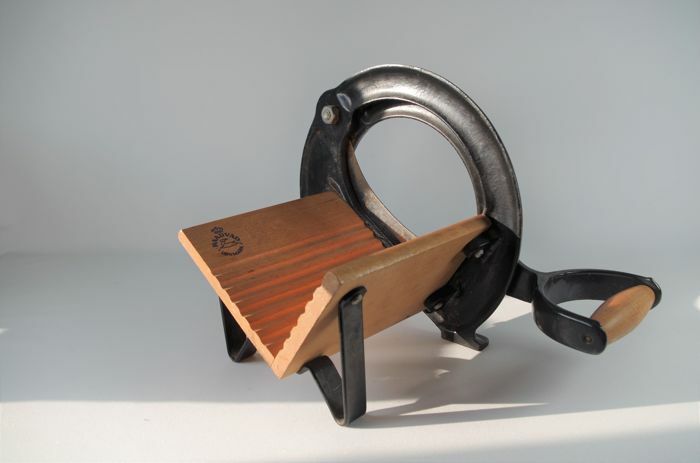 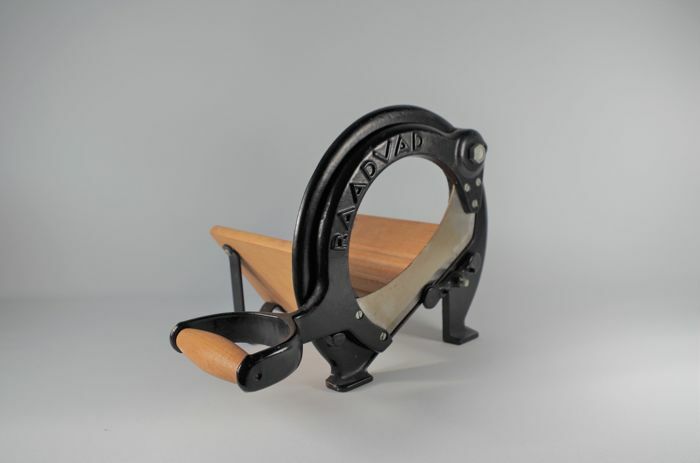 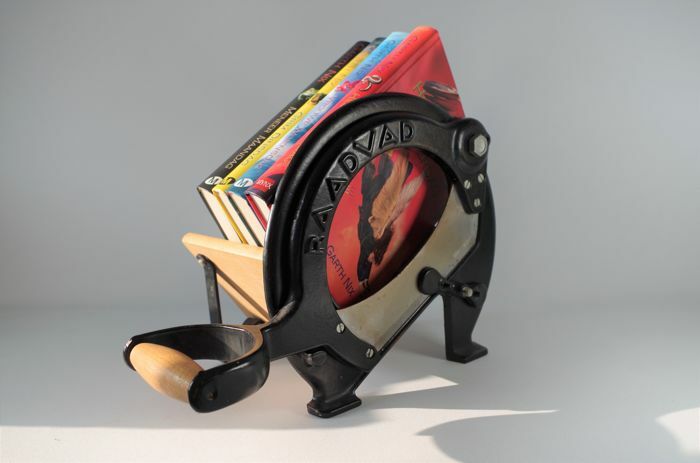 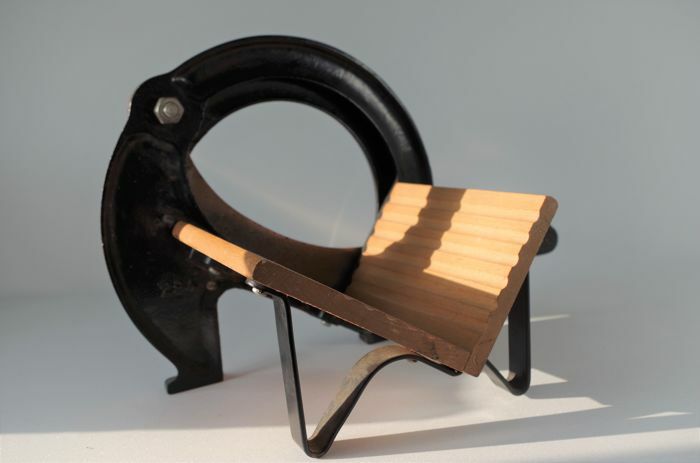 The guillotine style cutter functions well - it can be used to slice various breads (including rye bread), cheese, soap, fruits or flowers, as an unusual book rack, or simply for decoration. 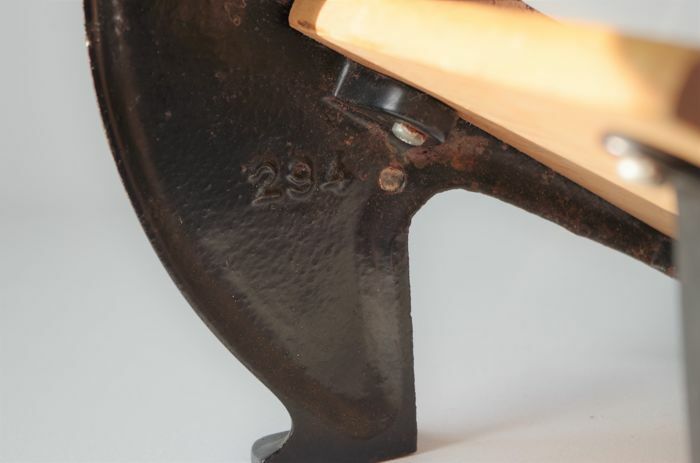 Approximate measurements when closed (including handle): Length 35 cm x height 25 cm x depth 25 cm, weight about 3 kg.